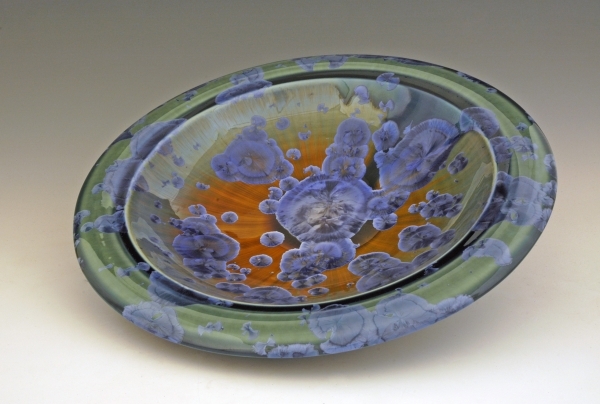 Flambeaux glazes are known for their subtle color variations, random occurrences and impressionistic appearance. This surface infuses each piece that it touches with a mystery and power that capture the unpredictability of nature. Your imagination will find floating galaxies, frosty windows, rare gemstones or exotic flowers. No two will ever be alike. Each piece is a singular and original work of art to be enjoyed for many generations.